Such a fun and cool card!!! I spotted this on FB but wanted to come by and let you know how much this little number makes me want to PARTAYYY! 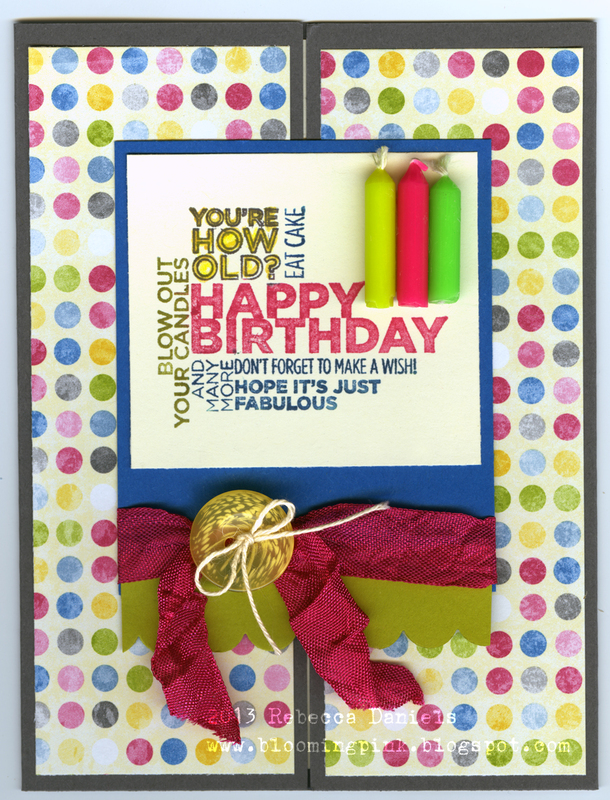 Darling Card sweetie! I love those candles and the paper is so festive. Fab Job!